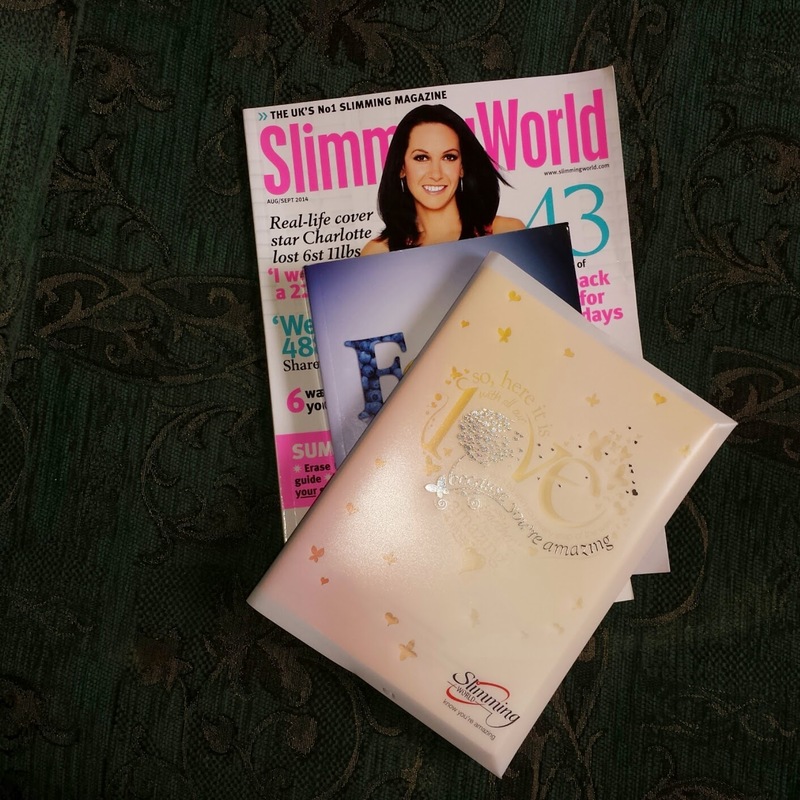 Yesterday I bit the bullet and joined up at a local Slimming World class. I last went back in 2011, with my boss and his wife. I remember feeling apprehensive then but confident as I had people there that I knew and who could support me. This time though, I went on my own and surprised myself. Yes, I felt apprehensive but I found it easier to make conversation with people and I didn't feel as though I stuck out like a sore thumb. Usually, when I diet other than D and the in-laws knowing (they have to as I live with them!) I don't tend to tell anyone what I'm doing. I don't like the pressure of everyone knowing and certain people think they are being helpful in asking how I'm getting on or if I should be eating something. It isn't helpful. It puts me on edge and I feel like I'm being grilled. But this time around, I'm not hiding it. Something needs to click, whatever that may be and hopefully this is the time it'll happen. I have a substantial amount to lose but I'm feeling (fairly!) confident that I can do it with the right attitude and support. I shall apologise now, in advance, for any diet and/or recipe posts and the general diet chitter-chatter but I need to keep myself motivated.